With a succession of storms lashing us these past few weeks your garden may be looking a bit wind ravaged and waterlogged. 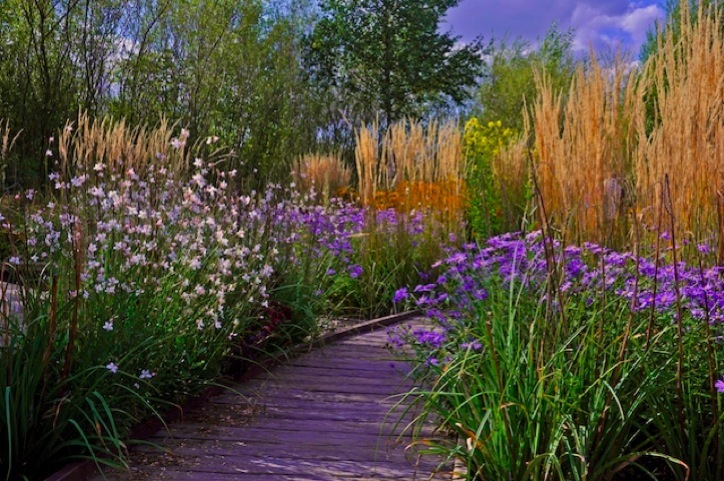 Now though is a good time to take stock of your garden and perhaps look at ways to make your garden more inspiring for this spring and summer. But where do I start? 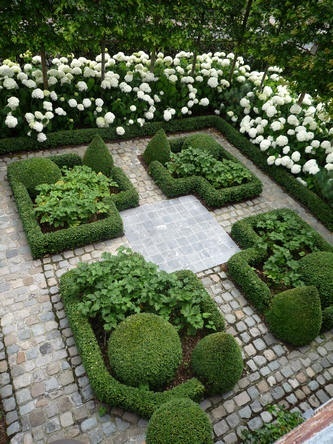 A good place is to consider some basic garden design principles. These include such things as; rhythm, repetition, balance, proportion, simplicity, unity, and focal points. 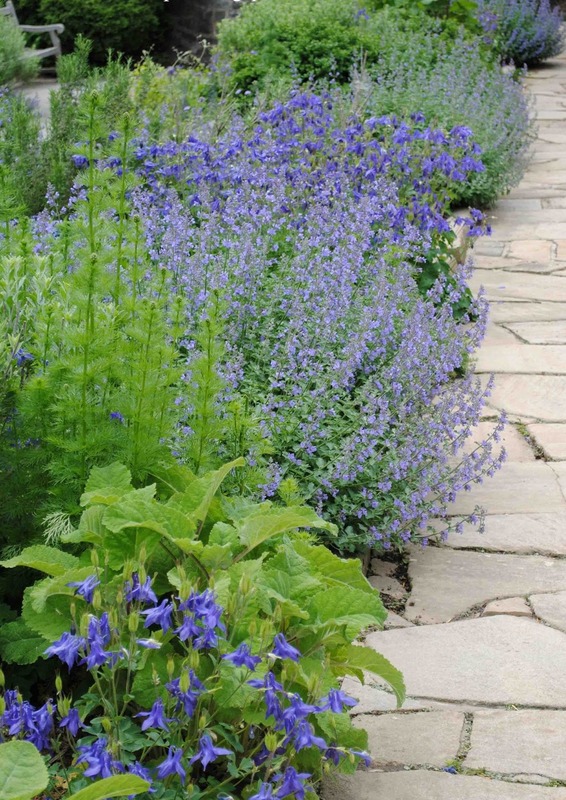 Creating a rhythm to your garden will help create a natural flow and movement to your garden. 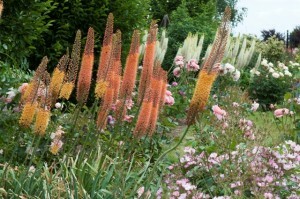 Rhythm can be created within your garden by the use of repeated elements such as; plants, hard landscaping and structures, these repeated elements unify the garden design and help create a sense of movement, leading the eye through the garden, from the foreground to the more distant parts of garden. 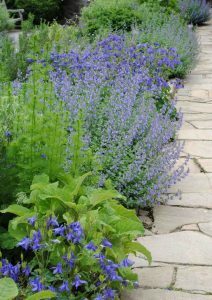 Add planting with repeated shapes, textures and colour and the garden immediately takes on another dimension and feels richer and more diverse. Your eyes instead of darting to the back of the garden are slowed down and taken on a journey as they take in the various elements. This makes the visual experience richer and more uplifting. The repetition of repeated elements within a garden creates a rhythm and movement which makes the garden relaxing on the eye. Think of the rhythm and repetition you experience when travelling on a train. The background noise to every thought and conversation is the clickety-clack of the train. 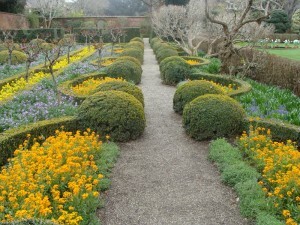 In a similar way rhythm and repetition serve as the background to the design of our gardens and landscapes. Without the rhythm of repetition we would have a muddle of one of this, then one of that, with no cohesiveness to the overall garden design. A garden with no rhythm becomes a jumble of unrelated features competing for attention that looks restless and uneasy on the eye. Rhythm implies that there is a regular beat or pulse going on. It’s what we tap our feet to when we listen to music. 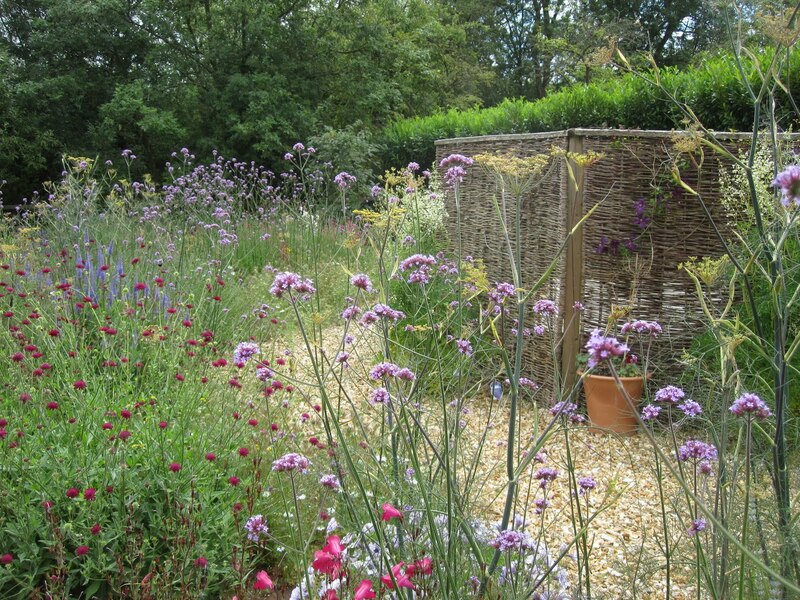 Creating this rhythm and sense of movement is vital to the look of a good garden. 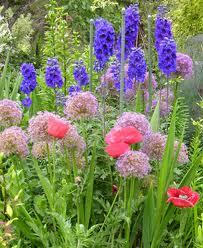 Without it a garden can seem flat and uninteresting, even if populated with the richest of plantings. You can use anything as a rhythm plant, though plants that flower for a long time provide a longer lasting contribution. 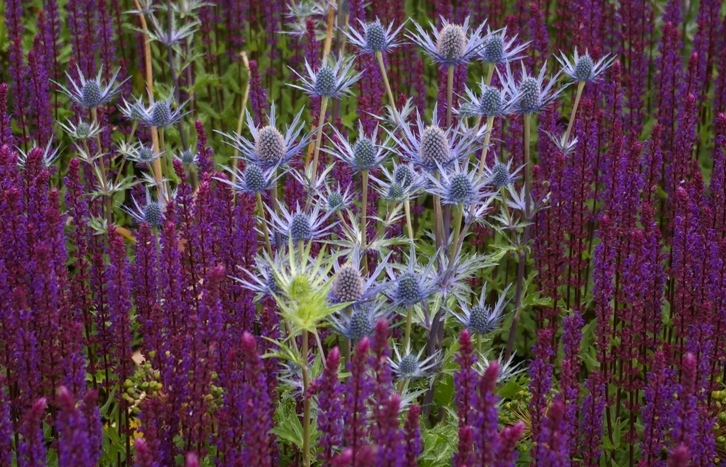 Strong, bold vertical plants such as; spiky blue delphiniums, verbascums, red hot pokers, salvias and foxtail lilies, planted at intervals through your beds create a striking rhythm and lift the eye. Grasses are good plants with which to create a rhythm; the slim upright grass Calamagrostis x acutiflora ‘Karl Foerster’ planted in groups with flowers such as, orange Helenium ‘Sahins Early Variety’ and yellow rudbeckias are a good combination as the flowers contrast well with the grass’s upright stems. These grasses also provide year round structure and rhythm as they maintain their form throughout the winter. 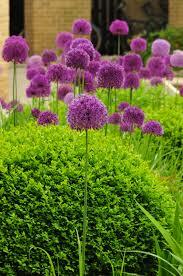 Box balls, Alliums, Hydrangea ‘Annabelle’ and Privett lollipop standards with their globular form when planted together create a wonderful unity and rhythm to a garden. 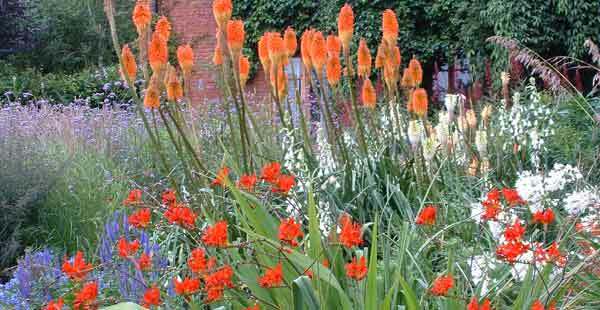 By repeating plants of the same flower colour and tone, the reassuring repetition draws the eye smoothly through the garden. 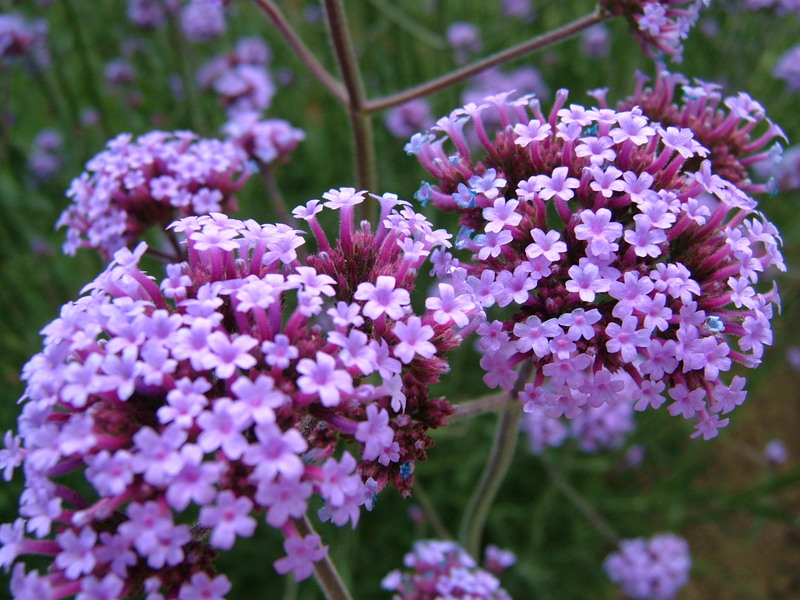 Tall Verbena bonariensis either, on its own dotted round the garden or, planted with bronze fennel, creates a shimmering rhythmic haze in summer, floating above lower growing perennials. 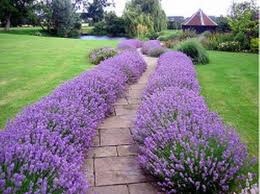 creates a strong rhythm and unity in a garden. Look at adding some rhythm and movement to your garden, experiment, be creative and get your feet tapping.